Since we began our retail audio consultancy in 2007, most of our customer events have focused on product launches, or “meet and greet” manufacturer visits. However, having intended to host music only events for some time, we finally got around to the first of these evenings on March 14th with this new event series. mYtunes! 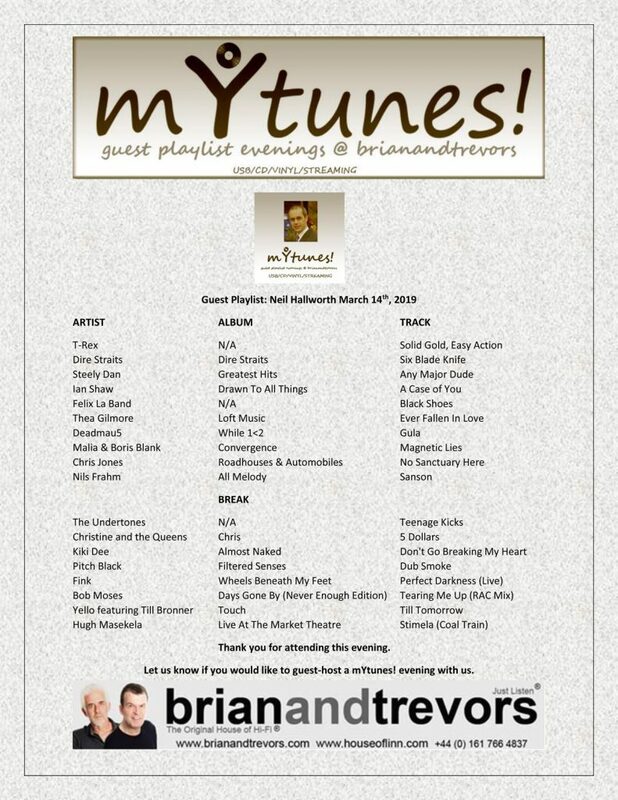 PLAYLIST is a relaxed evening event series at brianandtrevors for just a dozen or so guests focusing on your music and not the playback system. Listen to your favourite curated playlist tracks at the highest fidelity through one of our music systems. An open invitation to our clients and visitors to present, discover and enjoy new and familiar music. Formats can be CD, Vinyl, Streaming and USB. We got off to a great start with our first mYtunes! PLAYLIST evening on March 14th, thanks to Neil Hallworth. 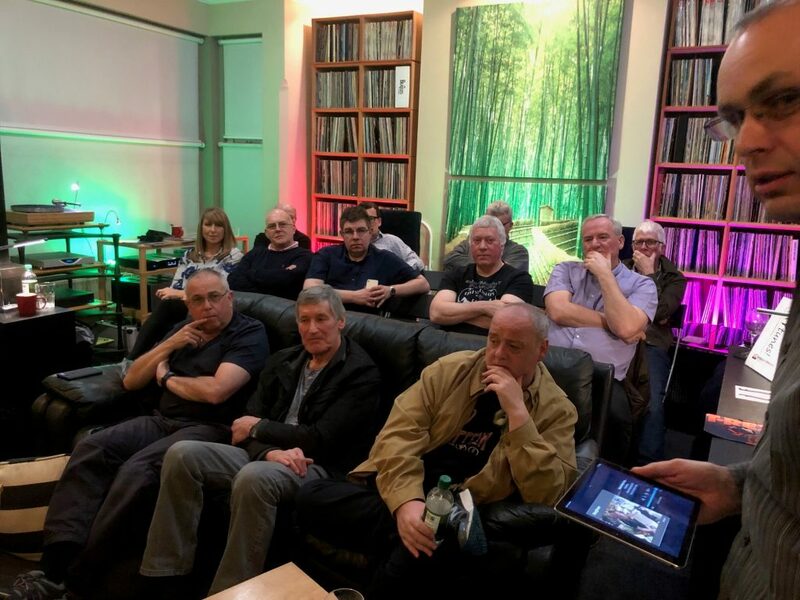 We listened to Neil present a selection of music from his sublime playlist with interesting and sometimes amusing anecdotes as he also narrated his hi-fi journey. We were delighted to welcome our first mYtunes! 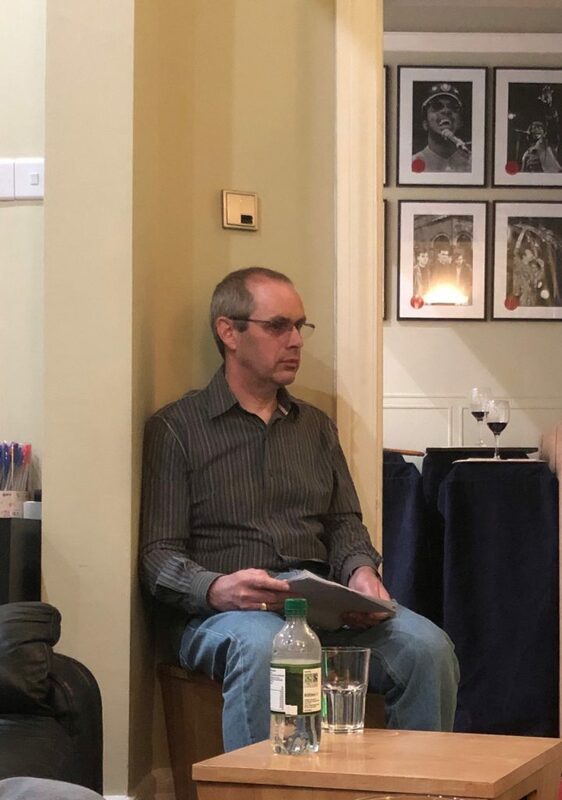 PLAYLIST guest, Neil Hallworth – Neil is also one of our first clients, and to whom who we first suggested guest PLAYLIST evenings, after listening to some of the varied and interesting selection of music on Neil’s playlist during one of his visits to the house a few years ago. Neil has been listening to music for over 40 years, with T-Rex’s “Solid Gold, Easy Action” being his first single purchase. His musical appreciation has changed considerably over that time, and we listened to a sample across a number of music genres. Neil grew up listening to his parent’s hi-fi system but his real hi-fi journey began with the ubiquitous NAD 3020, a Thorens TD160 and a pair of the original Mission 700s. 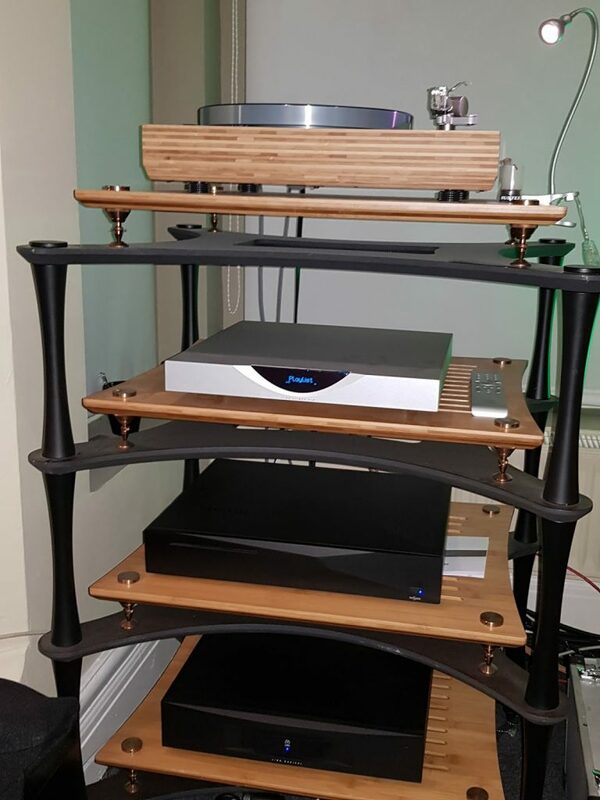 Linn has featured heavily in Neil’s systems over a 20 year period. 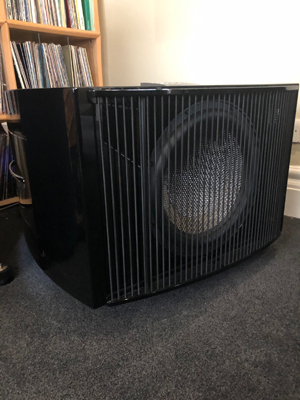 Currently Neil runs an Akurate Exakt Katalyst system with PMC speakers, for which he has developed his own Exakt filters. Neil is active on a number of hifi forums and writes the occasional, informal, entry on the audiophilemusings.co.uk blog. 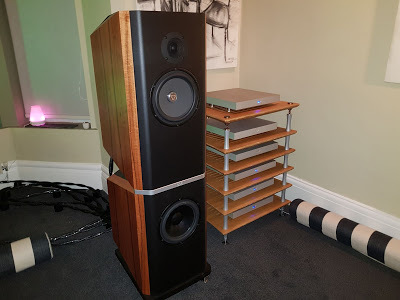 More recently, Neil has worked on delivering speaker measurements for SPACE Optimisation that allows speakers to be added to Linn’s compatibility list – including some of those in the brianandtrevors portfolio. He has started developing Exakt filters for speakers not supported by Linn and has received training from Linn’s lead acoustic designer. Neil edited his collated PLAYLIST of around 450 “favourite” tracks saved on his Melco NAS after thinking about what to play and what to say. It takes time to whittle it down, try and think of a good variety and then think back to why the track was included in his main playlist in the first place, how it came into his life, and how to frame the story – which is exactly the purpose and the guest brief for our mYtunes! PLAYLIST events. Neil eventually selected enough tracks for two PLAYLIST sessions of about 50 minutes each, and to allow for a break part way through (to recharge glasses of course!). The first track was easy – play the first ever record he bought – and remembering that there is a little box of singles in his house, so a quick check and there it was – the original copy of Solid Gold, Easy Action by T-Rex. Glam rock! which cost 35 pence in 1972! It occurred to Neil that it might be worth not only talking about his music, but his hi-fi journey too. So he successfully mixed the two during our first mYtunes! PLAYLIST evening – some talk about the music, a bit about his hi-fi. A good size audience of 15 joined us for a thoroughly enjoyable and relaxed evening of high quality listening and discussion of music. Neil’s choice of music are all stand-out tracks. 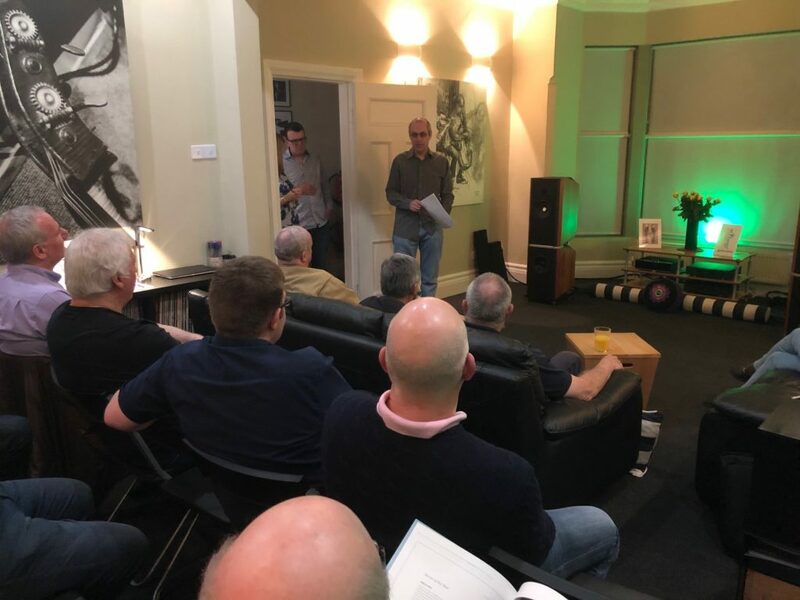 The sequence of tracks played also reflects Neil’s journey with his hi-fi system, and his presentation was punctuated with interesting anecdotes recalling how his system journey began and evolved while he discovered and collected new music over a forty year period. We were also thrilled to discover artists new to us during the evening, specifically, Bob Moses, Pitch Black, Felix La Band and Chris Jones, which were all stand out tracks musically, and great recordings – so thank you Neil! This is what a mYtunes! 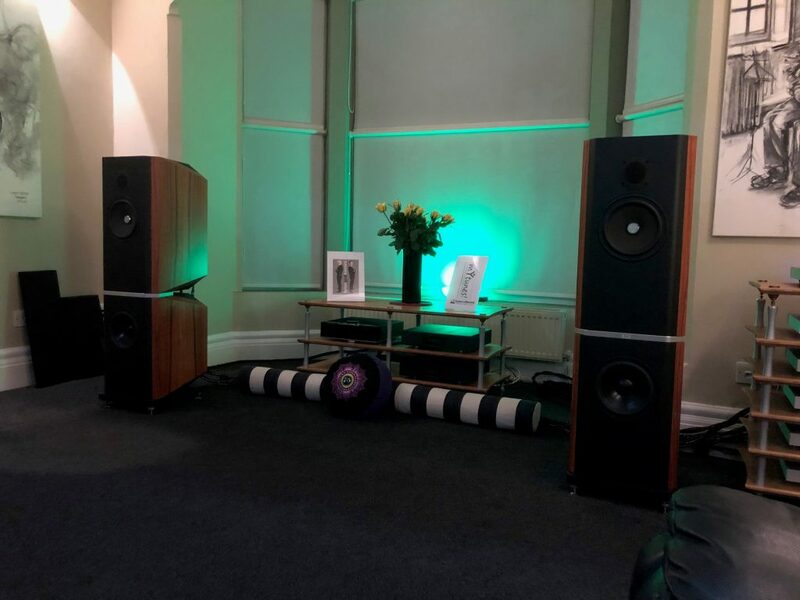 PLAYLIST evening at brianandtrevors is really about – discovering and enjoying new and familiar music through a great music system – we have already ordered Bob Moses on vinyl! (Neil pictured listening to his PLAYLIST tracks). Our first mYtunes! PLAYLIST evening on March 17th was an interesting, enjoyable and relaxed event. It is great to share listening to music, especially on a great hi-fi system, so do let us know if you would like to get involved by presenting and sharing your music at one of our mYtunes! playlist evenings. 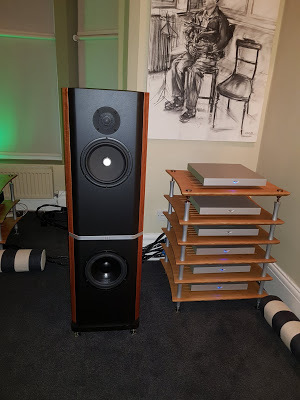 Call or email us to book a demonstration of this remarkable top system or other systems and components in our range, or if you simply have a question to ask us. Read Neil’s report on his mYtunes! PLAYLIST evening by clicking here. Call or email us if you would like to guest-present and share your favourite tracks at a future mYtunes! 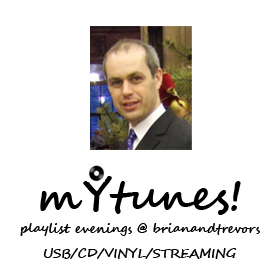 PLAYLIST evening at brianandtrevors – get involved, it’s fun! The next mYtunes! @ brianandtrevors will be a vinyl playlist night presented by Roy Coulson on Thursday, May 16th from 8 pm. Please email us to register.